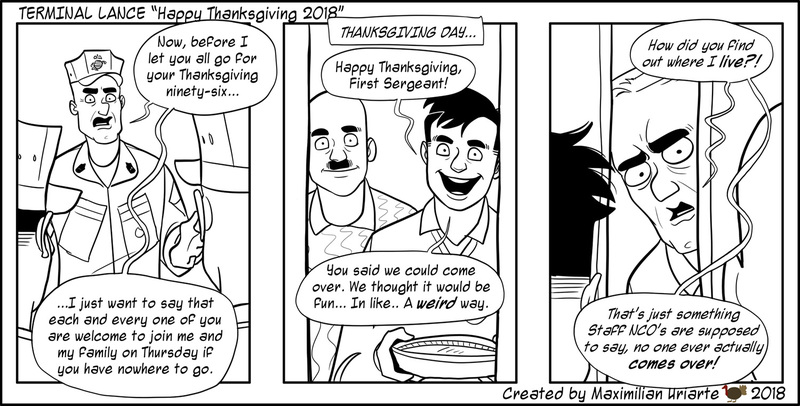 …Because no Lance Corporal in their right mind would actually show up to a First Sergeant’s house of their own free will, for any reason. Enjoy some turkey if you can. If you have duty, well I don’t really know what to tell you. Maybe start an EAS countdown timer on your phone?